I finished the Serengheti quilt top yesterday. This has been a fun project with the added bonus that all the fabric came from my stash. This morning was spent machine quilting a meander with monofilament thread – my standard quilting for a high contrast quilt. All that is left is hand stitching the binding and sleeve which will then complete the third star quilt on my list. 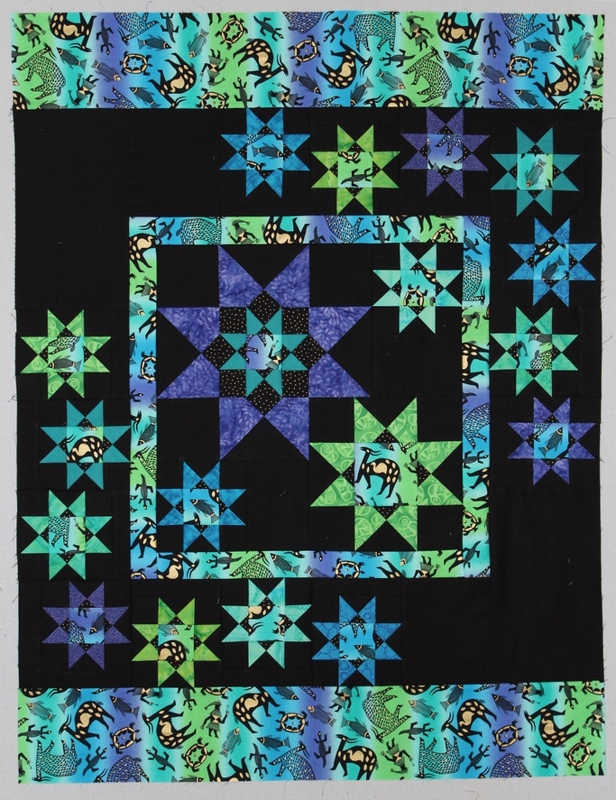 The next star quilt will be Pathway Star by Edyta Sitar. I was thinking of the feathered star pattern, but decided to go with this one instead. 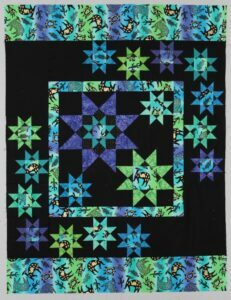 Pathway Star’s finished size is 70″ x 71″ and looks a lot like the first star quilt I did – Pretty in Everything BUT Pink. Even though they look similar Pathway Star is made with triangles and Pretty in Everything BUT Pink was made with triangles & diamonds. But first things first and that means feet up with needle & thread in hand.